Tesla boss Elon Musk has taken a break from warning us about murderous AI and killer robots to reveal the first images of his SpaceX space suit. The CEO shared the picture on Instagram, pointing out that it wasn’t a mockup but a fully functioning suit that’s been tested to double the vacuum pressure of space. 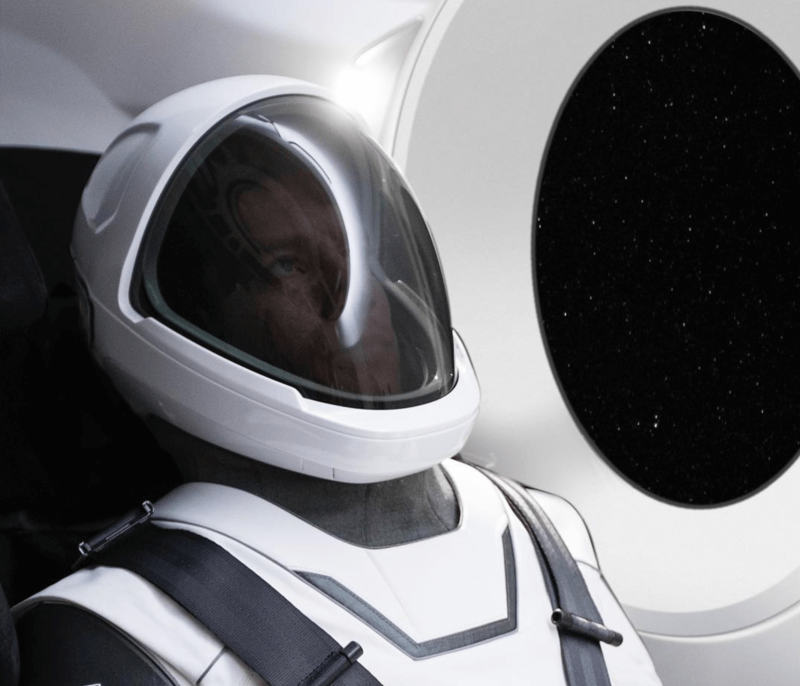 SpaceX designed the spacesuit to look sleek and stylish while retaining its essential functions, something Musk said was “incredibly hard.” It certainly appears less bulky than the classic spacesuits we’re used to seeing, and seems to offer more freedom of movement. In May last year, it was reported that Musk had commissioned Hollywood designer Jose Fernandez, who had worked on the Iron Man, Spider-Man, Batman, and Captain America costumes, to help create the spacesuit. The images that appeared on Reddit at the time look pretty much identical to what Musk showed today. Musk also used Instagram early this month to show off a draft animation of what the Falcon Heavy, the larger variant of SpaceX’s current Falcon 9 rocket, will look like at launch. Following several years of delays, the rocket, which is made up of three Falcon 9 cores, is tentatively scheduled to make its inaugural flight this November from Cape Canaveral's Launch Complex 40 - assuming it doesn’t get postponed yet again.